2017 started with our annual table quiz which was held on the 7th of January. Martin Allen was the quizmaster. The funds collected were for the Tony Woods Kenya Education fund. €750 was passed on during the year. As you may have noticed during the last few years we have been erecting place name markers at the different townlands around the parish. These have been very well received and are being maintained well by people who live near them. These stone markers can get overgrown with grass and weeds very quickly but are kept tidy by volunteers like Eddie Kiely in Moanduff – In the coming years it is hoped to have every townland in the parish covered. 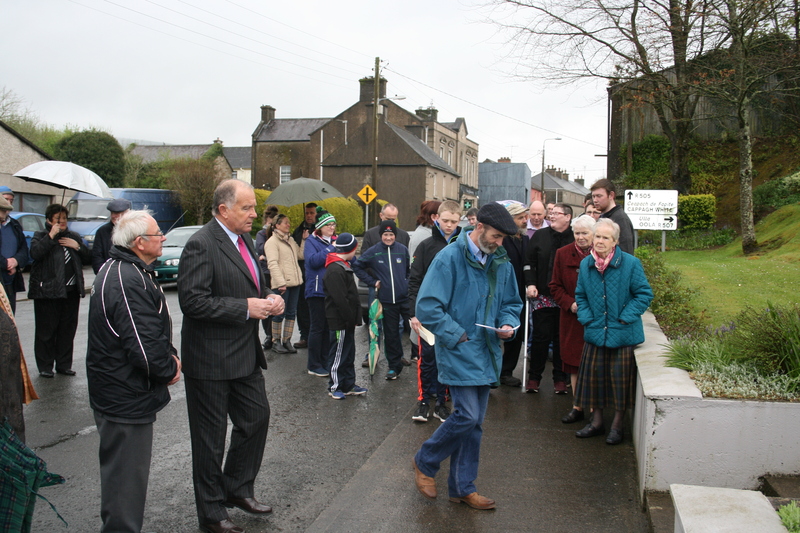 On Easter Sunday a plaque was unveiled at the Garda Barracks (Old RIC Barracks) at 12 Noon. 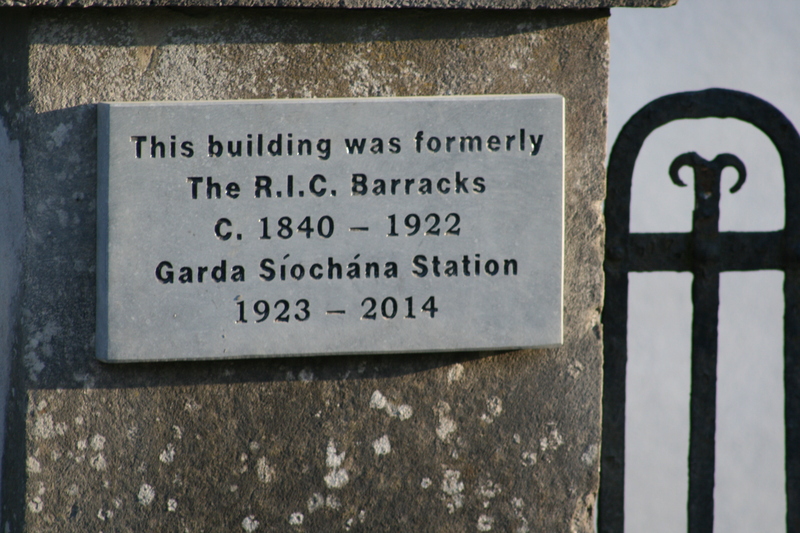 The building was formerly The RIC Barracks from C. 1840 to 1922 and a Garda Barracks from then until 2014. In honour of the day the Proclamation was read and a wreath was laid at the 1916 commemoration monument. On the 9th of August we had our annual tour. 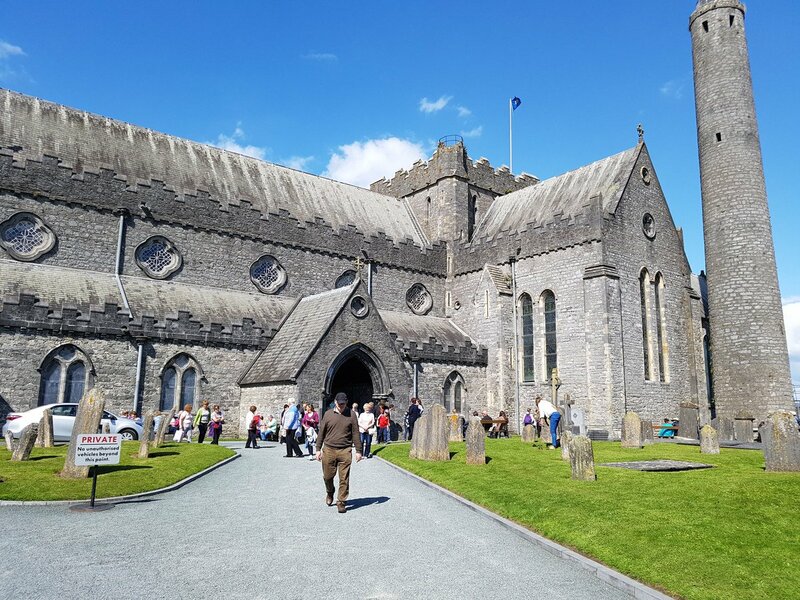 This year we went to Kilkenny where we visited the Castle, St Canice’s Cathedral, the Design Centre and more. We also got a tour of the town in a road train. Margaret Franklin put great effort into the organization of this day and it was an enjoyable outing. 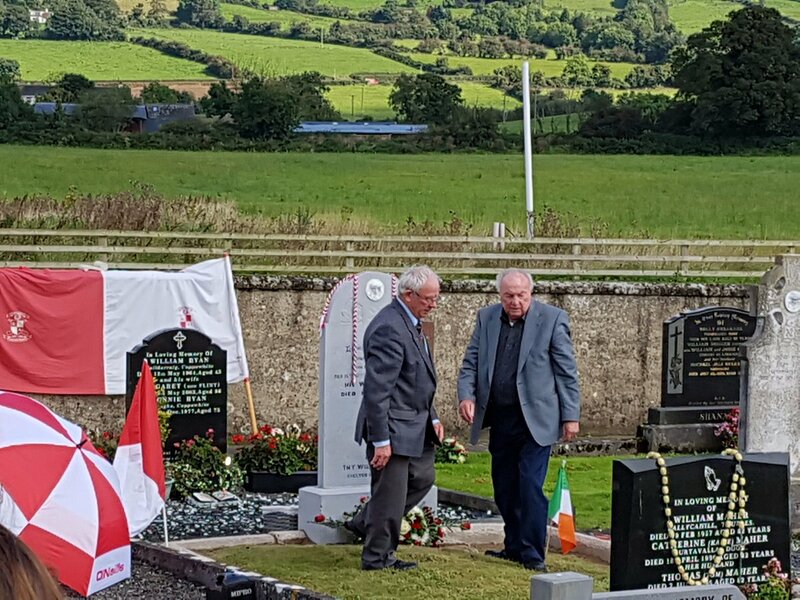 On Sunday the 17th of September 2017 a ceremony was held to commemorate the 60th anniversary of the death of Dan O’Hara who presented Doon with their 1st set of Red and White jerseys. 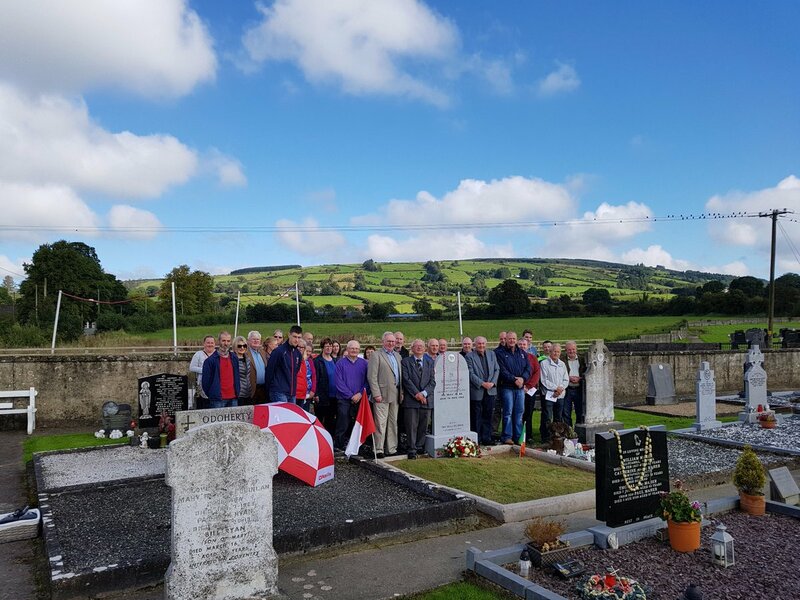 This was well attended and was a fitting tribute to the man with Cork connections who gave Doon their now famous red and white colours. We also held our usual talks on interesting historical topics both local and international during the year. 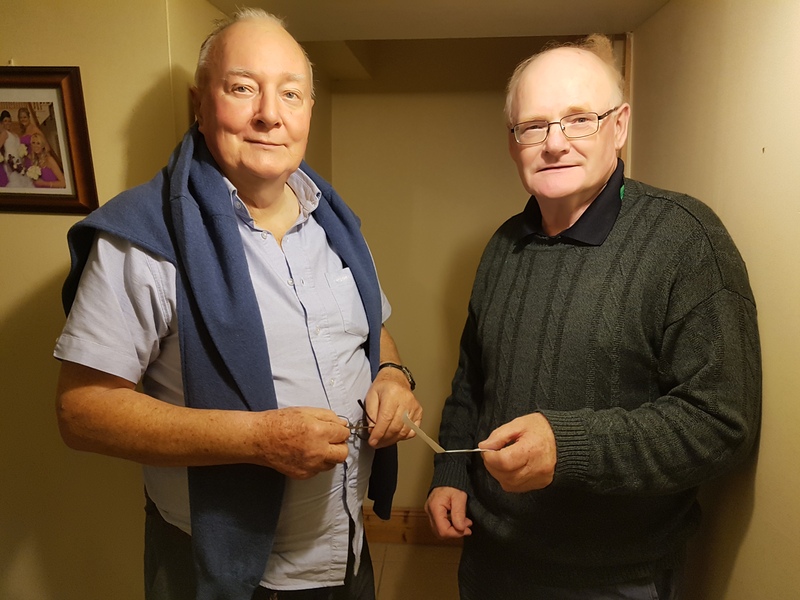 Micheal Hassett gave a great lecture on the “Battle of Verdun”, John Flannery gave a talk on “Sonny O'Neill and Michael Collins” and Des Marnane informed us about the “Impact of the Tipperary Military Barracks from 1870 to 1922”. Admission to these talks is free of charge and open to all whether members or not. 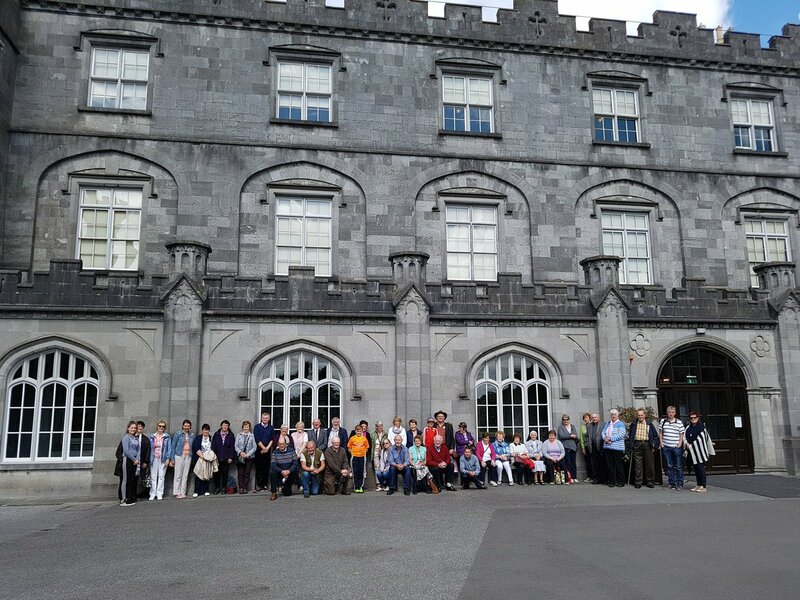 Membership of the historical society is €10 per year and there is a text service to keep members informed on all events and talks if anyone wishes to join. The compilation of a book of photographs has been ongoing for the last few years and it was finally published this year. A lot of work went into this work and thanks to everyone who supported the venture. We would like to wish everyone a Happy Christmas and a Great New Year.